A Super Move-Up to Quality for Derby knees! Feel the difference - what you've been missing from your typical derby kneepads! 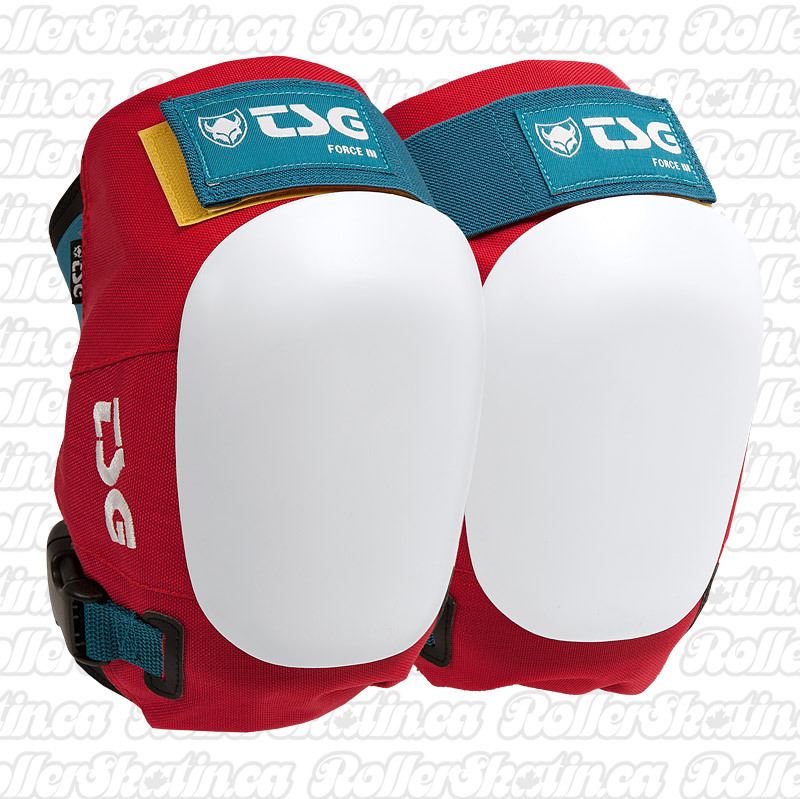 TSG FORCE III Kneepads! 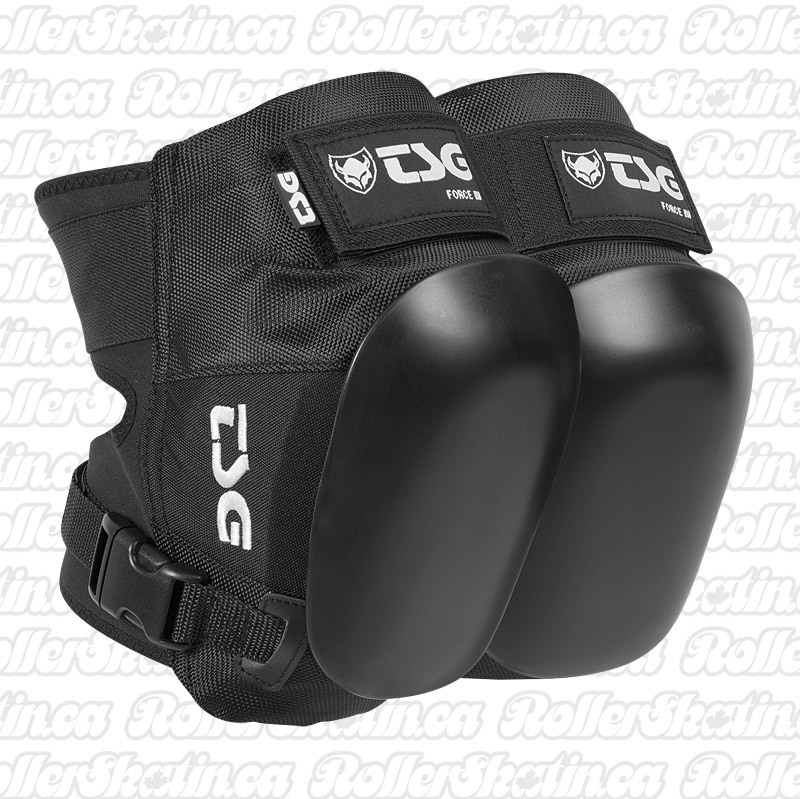 A longtime favorite vert knee pads, designed by TSG's pro skate riders AND a Super Move-Up to Quality for Derby players! Feel what you've been missing from your typical derby kneepad! The ergonomic pre-shaped design with an extra strong multi-layered foam and a replaceable cap provide superior protection. Available in Black or Old-School - Red with White Cap. • HARDSHELL CONSTRUCTION - For maximum safety, TSG's hardshell construction combines a super strong injection moulded outer shell and a shock absorbing EPS inner shell. • MULTI-LAYER EVA FOAM ON AND AROUND KNEE - EVA provides great shock absorbing properties, stress-crack resistance and low-temperature toughness. It can be used in multi layers and is backed with hard shell caps for a solid performance. • REPLACEABLE PE KNEE CAP - High impact strength and low friction caps for use on rough and concrete ground. • PRE-SHAPED DESIGN - TSG's pre-shaped body protection comes with a pre-bended articulated design for unrestricting wearing comfort and superior fit. • HORSESHOE SHAPE - Custom Horseshoe shape that greatly surrounds knees, elbows or shoulders. The compression-moulded foam pad with a raised top part sits perfectly around your protected joints. This shape minimizes shifting and down-sliding to keep your pad in place during action. • TOP VELCRO 360-DEGREE STRAP - The strap wraps around the whole leg or arm offering superior fit adjustment, wearing comfort and protection. • OPEN-BACK DESIGN: No skate removal needed. Accessible open-back design with comfortable neoprene butterfly Velcro closure for easy on and off.